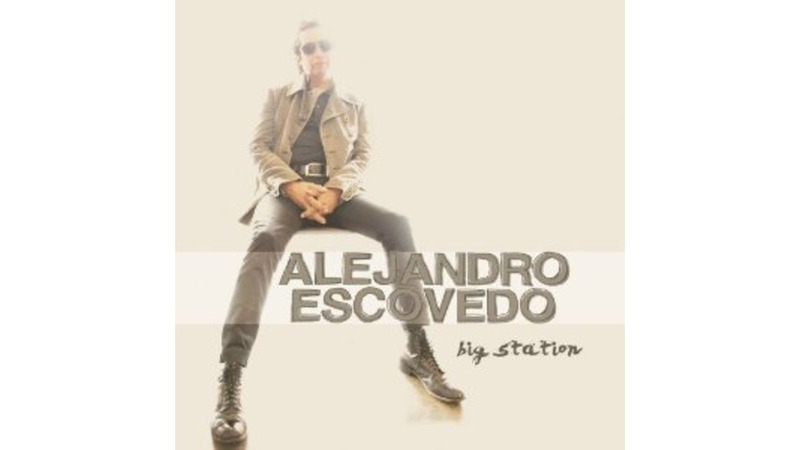 With a brazen swagger drawn from Alejandro Escovedo’s punk roots, the 61-year-old songwriter/yowler declares, “I can take a punch, I can take a swing…” on Big Station’s opening “Man of the World”—suggesting his 12th studio release is an action record. Over a dozen songs, the Rank and File founder never disappoints. With strains of “Forever Young”-era Dylan and the acoustic side of Neil Young, “Bottom of the World” paints a sweeping portrait of the dissolute, while the low-riding urgency of artistic consumption “Headstrong Crazy Fool” is laced with one slithering guitar line, a tiny keyboard figure and an unwavering beat, driven by creativity, desire and bad decisions. Even the trumpet over hand-clapped rhythms of the neo-chant “Can’t Make Me Run,” suggesting a hipster Tom Petty, glows with the slow-burn confession of the cornered. There may not be options, but that includes surrender. Escovedo has always been a fringe rock icon—never mainstream, but always the secret handshake that separates those who know from those who think they do. There is no denying the grit of Big Station as essential—or the way the grooves cut into your brain and don’t let go. Tony Visconti, known for his work with David Bowie, understands both drama and spaciousness. There is room inside these tracks that allows the guitars’ fuzzy edges to spread out, the drum tracks a bit of reverb and Escovedo’s voice a chance for its nuances to rise. A bit of a bray, a touch of caw, his voice echoes with the truth of a rock life fully explored—and survived. “San Antonio Rain” is a survivor’s lament, strung across the Southwest, equal parts surrender to addictions and knowing better; “Never Stood A Chance” matches Roy Orbison-esque guitars with that washed-out sadness of realization. Common mistakes, hearts ablaze, worlds torn apart and one man emerging from the maelstrom. Those are the things Big Station is made of, and it imbues this lean rock record with import beyond the sting of the smart, seething tracks.